We are often asked what is the main difference between a shared hosting and a dedicated web hosting. In short, the renter of his own dedicated server uses the entire machine alone. This is more expensive, but it is the tool of choice for many applications because, as the operator of a website, you have to be sure your site is fast and secure. For serious web applications, blogs or online shops, a dedicated server is possibly the best choice. And if this server is managed by the provider (managed dedicated server), dealing with it is no more difficult than that of a small web hosting package. Shared, VPS or Dedicated Hosting Service? 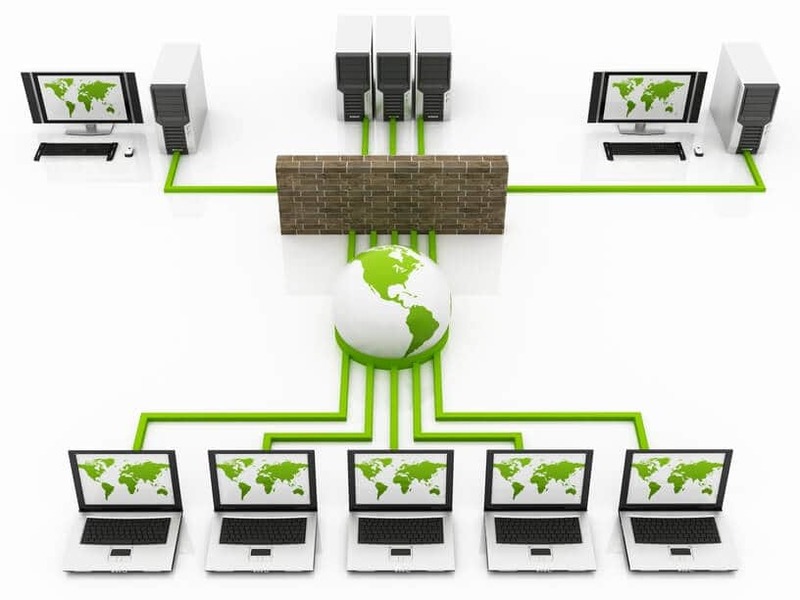 In the shared hosting technology, many websites share a physical server, ie the main memory, the processor capacity and the connection of the server to the Internet. Sharing makes these packages cheap, and for many sites that’s a convenient and affordable solution. A dedicated server is assigned to only one customer, to whom all resources are then available. This provides more performance security because memory, CPU capacity and bandwidth are always available. In both worlds there are products in different “flavors”. The technical basis is often a Linux server, but often also from Microsoft or other manufacturers. The combination of Linux, Apache, MySQL and PHP (L.A.M.P) is often found in the hosting area and has proven itself in practice. On this basis, popular applications such as WordPress, Joomla, TYPO3, Drupal and many other open source projects are running. How much technical power you want to treat your new web project is a question whose importance is often underestimated in the beginning. Websites are created to achieve a specific goal. No matter what you publish, whether blog or shop, the website must be delivered as quickly as possible on the device of the user who wants to see the page. There is now a lot of evidence of how much the perceived website speed affects the SEO and the conversion rate. The faster, the better that is. In this case, “conversion” does not just mean an order, but everything that concerns a desirable interaction between provider (website operator) and user (who might also become a customer). These can be newsletter signings, search queries or even the call of particularly important pages in the website, which may prepare a (purchase) decision. So you could come up with the idea, well, the website is not so important to me, I do not want to sell anything, but only inform about my stationary business. Nevertheless, this thinking runs counter to the actual intention of the website: The website has been created so that many people like to look at the page, find the appropriate information and do not dodge the competition. So if you want to establish a blog, set up an online shop or publish an accompanying website for a club, you should consider whether a separate server is the better choice. Meanwhile, whole servers are quite cheap to rent. Even cheaper are virtual servers that behave like their hardware counterparts. In this variant, powerful, large servers with many processor cores and opulent RAM equipment are divided into many separate units, which are completely isolated from each other. Thanks to cloud technology, each virtual machine is assigned a defined amount of memory, computing capacity and bandwidth. Web hosting packages based on shared hosting technology are also popular because they are very easy to use. If you have to administer your own server, you need a lot of knowledge about Linux. This is particularly useful when an update of the operating system is pending or similar things need to be changed. For example, it will be difficult for inexperienced people to add a new version of PHP through the console. Managed dedicated servers and dedicated hosting packages are as easy to use as shared web hosting packages. Of course, virtual servers must be maintained. Too great is the danger of becoming the victim of a cyber-attack through open vulnerabilities. In the case of a managed server, the basic system is kept up to date by the provider. This is essentially the difference to a root server, which gets its name because of the fact that the renter of the server has unrestricted access to the system, root access, so to speak. Root access allows for total control, but also some risk, especially when the server is in production and hosting a shop. The server remains secure because the base system is always updated. This requires special knowledge that the renter of the server can do without. No knowledge of Linux, Apache or any other server software is required. The handling is absolutely comparable to a web hosting package. Upgrades to new versions are not comfort, but a must for safety reasons. Virtual servers are significantly cheaper than physical servers. For virtual machines, the virtual machines can share hardware resources. In contrast to shared hosting packages, the guaranteed memory or computing capacity is always available for each machine and is independent of the load on the overall system. Video Performance is more predictable on a virtual server. Although it is de facto that the vast majority of websites are very, very rarely called. But it can not be a recipe for success to create websites that are attractive to as few users as possible. You build websites so that users can find them through a search engine or come to the website due to a link. In terms of price, virtual servers are not far from a large shared hosting package. With appropriate offers, often named “vServer” or “VServer”, the customer assumes the responsibility for the server and has to take care of updates and backup himself. If such servers are left unsecured, it is more a matter of time before the server is hacked and becomes a zombie machine. Then cybergangsters use their server to control or execute attacks on others. If the VServer is “managed”, the hoster takes care of system maintenance and securing. As a customer, you do not have to worry about it. So you do not need any knowledge in Linux and you do not need to know how to use a new PHP version, for example via console. As you can see, dedicated web hosting provides much more than shared hosting and it’s not that hard to use it. The biggest downside would be the price but if you are running a serious business where speed and security play importance, dedicated web hosting is surely the better solution.